A unique holiday is guaranteed! an apartment (T2 to T4), or renting the whole villa ? Only 500m from the beach ! Unless you would rather splash around in the pool ? Is a great start to the holidays already ! 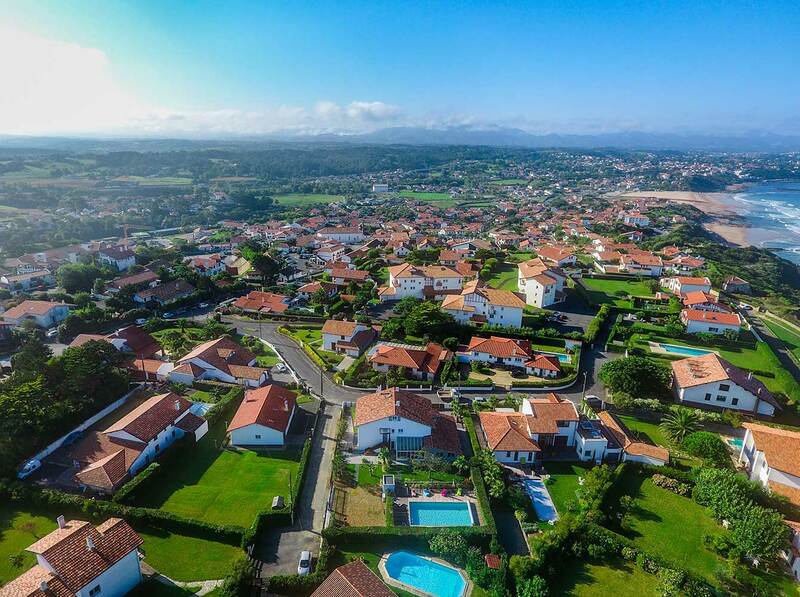 With 5km of coastline and 6 beaches (supervised during the summer months), Bidart is a charming seaside town with an ideal location between Biarritz and Saint Jean de Luz, and set against the backdrop of the Pyrenees. The town motto is ‘Bidartean zuzena onena’, meaning ‘at the crossroads, the straightest is the best’, which represents the town’s strong character – getting straight to the point. Bidart is a traditional town that has modernised over the centuries, offering excellent activities throughout the year. Holidays in Bidart means trying surfing and Basque pelota for the first time, discovering Basque traditions, tasting local specialities and produce, relaxing by the sea, strolling on the golf course, rambling along coastal paths, walking along part of the St James’ Way, enjoying the skate park, and most importantly, dreaming whilst watching the sunset. Whether alone, as a couple, or with family and friends, enjoy an unforgettable holiday where you can simply relax and have fun. Located between the mountains and the sea, the charming ‘Itsas Ondoa’ Villa is open for bookings all year round, whether you want to rent one of 3 individual apartments, or the whole villa. Come and discover the Basque Country’s charms, with its numerous beaches, including the Plage d’Erretefia (less than 500m from your front door), outside the town centre in a leafy setting. The beach is several hundred metres long, meaning that during low tide, you can walk from Basque Coast in Biarritz along the coastal path to Guétary, Saint Jean de Luz and Hendaye. Its perfect location lets you be both close to nature, but not far from the town. JULY AUGUST 7 nights minimum, arrival dates flexible (individual apartments or whole villa), contact us for whole villa availability. Outside the summer season, 3 nights minimum for Le Bayonnais, Le Botero and Le Txiki (apartments), arrival dates flexible, contact us on 06 07 07 87 66. 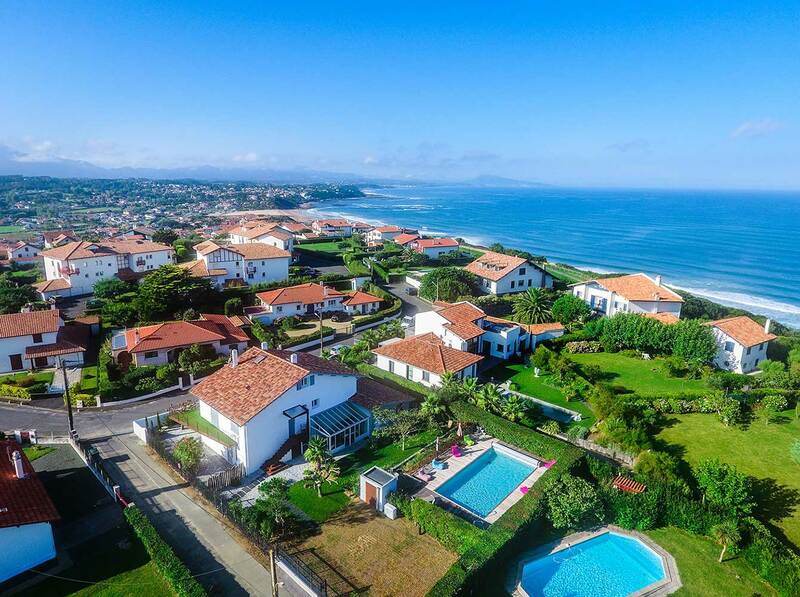 On the Basque Coast, in the heart of a traditional Basque village, between Saint Jean de Luz and Biarritz. 1 attic bedroom, 1 bathroom with shower and toilet, 1 kitchenette with an oven and microwave. Furnished living room + kitchen, TV with DVD player, 2 bedrooms, 1 bathroom with walk-in shower. 3 bedrooms and 2 bathrooms with walk-in showers, one of which is in the master suite.